Country boy d'Artagnan is desperate to join the King's elite band of bodyguards, the Musketeers. 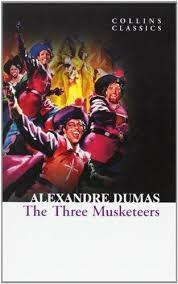 And when his fiery loyalties (which often get him into trouble) and incredible sword skill (which get him out again) manages to impress brash Porthos, foppish Aramis and melancholy Athos, the three musketeers and d'Artagnan become friends for life. When they discover that the King they protect is under threat, the Musketeers must outwit the scheming Cardinal Richelieu and the seductive spy Milady - encountering adventure, friendship, romance and intrigue along the way - in order to save France from destruction. But could a deadly secret be the death of them all?Author Biography: Frequently imitated but rarely surpassed, Dumas is one of the best known French writers and a master of ripping yarns full of fearless heroes, poisonous ladies and swashbuckling adventurers. his other novels include The Three Musketeers and The Man in the Iron Mask, which have sold millions of copies and been made into countless TV and film adaptions.